This Grandmother's Garden: I ♥ Spring! and then with a grand Ta da! Hi Carloyn. How beautiful. I love seeing the Redbuds bloom in the spring here in the hills. I wish I had one in my yard. 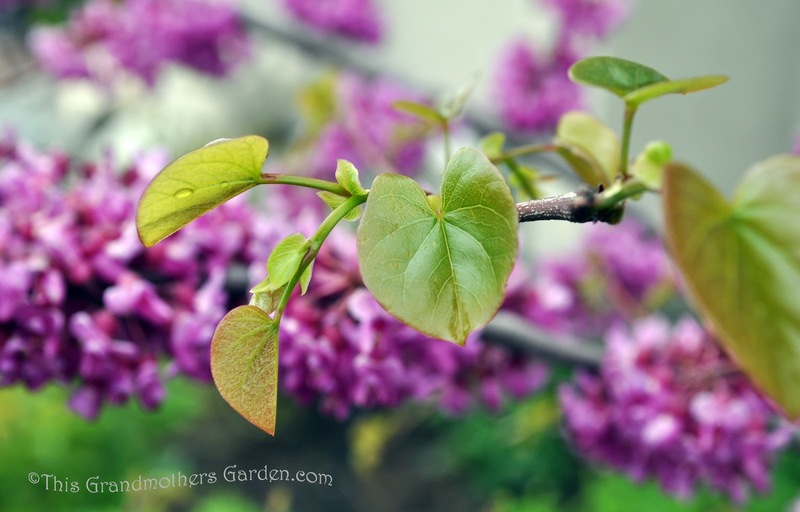 Awe, my beautiful 'Forest Pansy' redbud got smashed and broken with a late spring storm that brought a foot of HEAVY wet snow! Now I think it will have to be pulled out because it will probaby not recover...so sad! 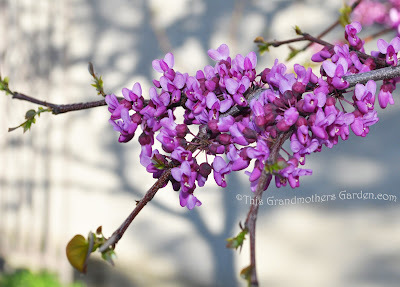 Red Bud is one of my favorite spring flower flings. I like to use them in design, but my contractor will not grow them and refuses to warranty them. They are a bit temperamental to conditions and siting, so I have missed them for over ten years of working with this grower. This is so nice to see them blooming all across the US. Your images of blooms and leaves are lovely. Your joy in spring literally jumps off the page. Maybe we that dont have specific seasons are really the ones missing out :) HAPPY SPRING TO YOU! I love redbuds, too. One of the prettiest spring trees. You are right - glorious. I needed your little 'heart' symbol! Didn't know how to make it. Carolyn I love your Redbud ! But oh ... your Redbud ... is beautiful! !